Send two way text messages at just 10 cent per message. Receive SMS reply back into your own phone or into your computer online. You can send SMS using your web browser to almost any mobile phones around the world. You can also "receive SMS" reply even without a mobile phone handset or a mobile number. Only 10 cents per text message sent to most countries (including Australia). Most SMS messages are delivered within 3 seconds, to over 270 countries ! There is no minimum amount to purchase, very easy to use at only 10 cents flat cost per message and no cost to receive SMS reply. 1) Log into the ClicknCall member area and click on the "Send SMS" link from the left menu. 2) Enter your destination mobile phone number or choose receipient from your address book. Type in your text message in the text message box and click "Send SMS". In most cases your text message will be delivered within 3 seconds and you will get a confirmation message back on the browser to tell you if your text message has been sent or not. You can set your text message sender ID so that the text message appears to be sent directly from your own mobile phone or your company name. The SMS message receipient can reply your SMS message and the reply goes directly to your mobile phone. You can also use our "two way SMS" without extra cost and receive SMS reply into your online SMS inbox. This is a great way to keep in touch with friends and families when you travel overseas and don't have access to your own mobile. You can still view SMS anywhere in the world as long as you have Internet access. And receiving messages online has no extra cost to you. You can schedule your SMS to be sent at a particular date time. 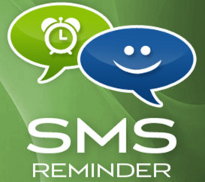 This SMS reminder feature is great for appointment or meeting reminders and confirmation. It's more cost effective to SMS your customers to confirm appointments than calling them. It saves you and your staff time and help improve your business bottom line. We have the most reliable and robust SMS system available to help you communicate better with your customers. You will not be disappointed by our business grade SMS system. We also have SMS HTTP/HTTPS API available to all account holders if you want to develope your own SMS application. Want to send cheap SMS worldwide from your Android smart phone using Wifi or 3G connections? We have an Android SMS sender application you can download for free from the Android market. At just 10c per message sent to most countries, it's much cheaper than using your own mobile carrier to send the SMS. It's also fast and reliable. It's simple, easy to use and it will give you a lot of sms fun.